Worldwide Service for Specialty L-Band Broadband Applications Preparing for Commercial Service Debut in 2Q 2018. Iridium Communications Inc. today announced that it has begun live testing of the Iridium Certus service on operational Iridium NEXT satellites. 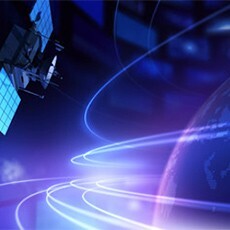 Iridium Certus will be Iridium’s new, truly global broadband service, offering safety and critical L-band communications connectivity through the Iridium® NEXT satellite constellation. Graduating from laboratory-based tests, Iridium Certus on-orbit testing is a major milestone along the path towards introducing commercial service, currently scheduled for early second quarter, 2018. Iridium Certus terminals are being built by Cobham, L3 Communications, Rockwell Collins and Thales USA, all of which are participants in the Iridium Global Value Added Manufacturer program. It is expected that live on-orbit tests will be conducted on the terminals as they are ready. Featuring small form factor, cost-effective terminals and antennas, Iridium Certus will ultimately offer the fastest L-band broadband solution available, supported by the world’s only truly global network. Iridium NEXT is the company’s next-generation satellite constellation, replacing and enhancing its existing network of inter-connected low-Earth orbit satellites spanning the entire globe – the largest commercial satellite constellation in space. The constellation’s unique architecture features interconnected satellites that form a web of coverage around the earth, enabling low-latency connectivity over the oceans, in the poles and other remote areas.